I’m often asked to explain what coaching is as well as the different types of coaching. It can certainly be confusing. There’s Personal or Life Coaching, Business, Executive or Performance Coaching to name but a few! They are all coaching and they all do the same thing. They help people make the changes they want or achieve the goals they want. The name simply gives a broad indication of the area that the coach and client would be focusing on. So what does coaching do? It helps you clarify what you want to change and it does this in a very specific way. We often have an idea of what we want to stop doing or what we don’t want to happen anymore. It’s not always as easy to nail down exactly what it is we do want to do. Coaching helps you identify this in a structured way so that you really understand the specifics of what you want to achieve. Equally important is understanding why you want to achieve it. It can take a little time to identify the specifics of your goal. Does that sound strange? Surely people know what they want? Well, not always. When a skilled coach starts questioning you about it, you may well find that it’s something much deeper that you want to achieve. It’s critically important for a coach to spend the time with the client to identify this. Remember, coaching doesn’t involve advice. A skilled coach helps you become more aware of what’s happening in your life now. They will also raise your awareness of the choices you have in making the changes you want. I firmly believe that all my clients have the resources inside of them to successfully make these changes. My role as a coach is to help clients locate these resources and use them in a way that’s right for them. There are number of ways to help you do this. I use a tried and tested structure that gains results for my clients. They way I apply this structure will be different for each client as I tailor it to your needs. It’s important that I work with you in a way that’s most productive for you and this will be different for each client. Our initial consultation is so important as it helps me identify the best way to apply the structure to help you achieve your goal. Who goes to see a coach and why? The short answer is anyone and for pretty much anything! I’m very lucky to have been involved in coaching and developing people for over 20 years. I have a wide range of knowledge and experience which means I have lots of different tools to support you irrespective of your age or the type of change you wish to make in your life. Despite this, there’s always a possibility that during our work it becomes clear that coaching isn’t the best option for you. This might be due to the type of problem, it’s level of impact or the timing of the approach. I will always let you know if this happens. Rest assured that I won’t just abandon you; I will work with you to help you identify which type of support may be more effective. I will continue to work with you to help you identify how to access this support. Think of it as changing the goal you want to achieve; it’s now become accessing the best type of support. 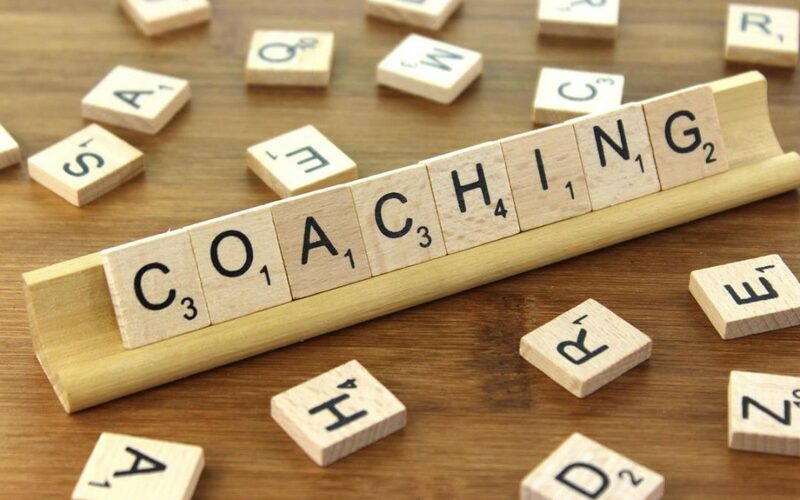 So, when will coaching be helpful? It may be a challenging life event that prompts a client to see me. This is sometimes accompanied by the feeling that everything has just become too much, too overwhelming. This may be relationships; it may be work-related such as retirement, redundancy, difficulties at work or getting the balance right so between home and work. Coaching can be extremely helpful when the thoughts that go through our mind are unhelpful. Or perhaps the feelings that you have are holding you back. It’s as if the thoughts are getting in the way of you making the changes you want to make. As a skilled coach, I will help you understand how these thoughts and behaviours are working in your life. I also support you in choosing more helpful alternative behaviours. Some examples that I work with are anxiety and stress, or low self-esteem or self-confidence. I also work with clients who have a particular pattern of behaviour or habit that isn’t particularly helpful for them. This could be areas such as how you communicate with certain people; how assertive you are in particular situation; public speaking or speaking at a particular type of event. It may be that there’s a habitual behaviour that you’ve developed which is stopping you achieving your goal, as if you are self-sabotaging. So again, using a particular structured approach, I’m able to support you in making the changes you want to make.